Well, it's certainly good news for the credit card companies as it's basically designed to keep people in debt for longer periods of time. Paying the minimum balance off every month is therefore one of the worst sins in personal finance. However, sometimes we face short term financial problems and in those situations it's fine to make just the minimum payment. But work out a clear plan of how to tackle the main bulk of the debt as soon as possible, perhaps by spreading the repayments over several months. 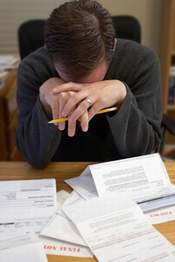 Remember, with Credit Card debt the more you pay per month the less you pay overall.